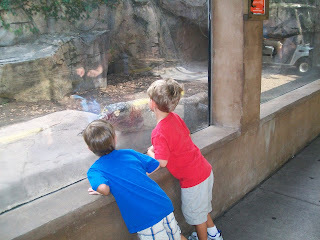 Last week, we had a very fun day in Houston. 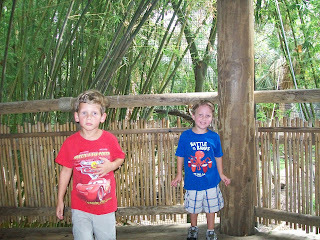 We met some friends at the Houston Zoo, went to a see a children's performance of The Three Billy Goats Gruff at the Miller Outdoor Theatre, had a picnic while we watched the show, and then went back to explore the children's zoo. 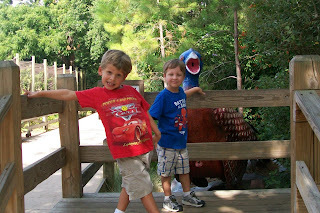 Dawson and Seth checking out the giant peacock. A close look at the komodo dragon. 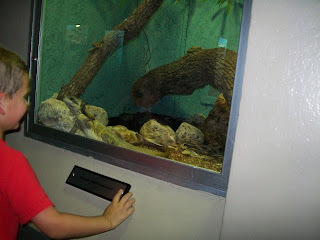 Dawson was laughing at this lizard because he was crawling wildly all over the place, up the glass, and looking right at him. 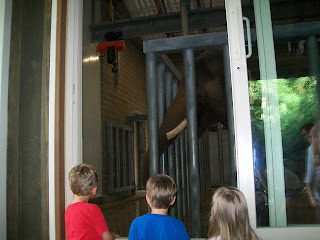 Watching the elephant get a bath. Dawson and Seth in the gazebo. 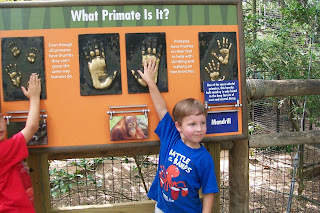 Dawson comparing the size of his hand to that of an orangutan. 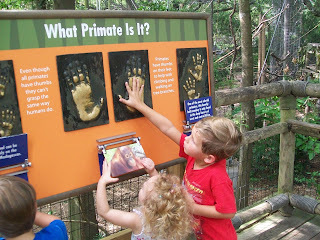 His hand is about the size of a mandrill. 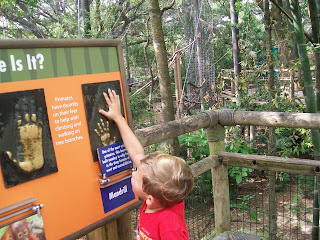 Seth holding his hand up to the orangutan. 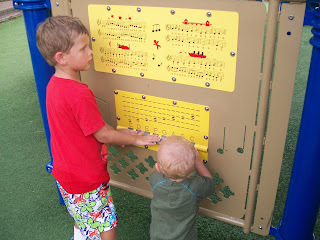 Dawson has always really enjoyed the keyboard at the zoo park, and Brady really liked it too! 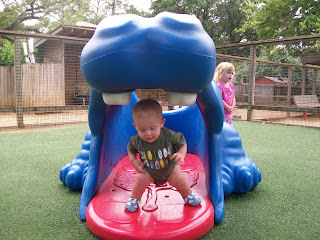 Trying to stand up in the hippo.